My new coat closet is finally complete. 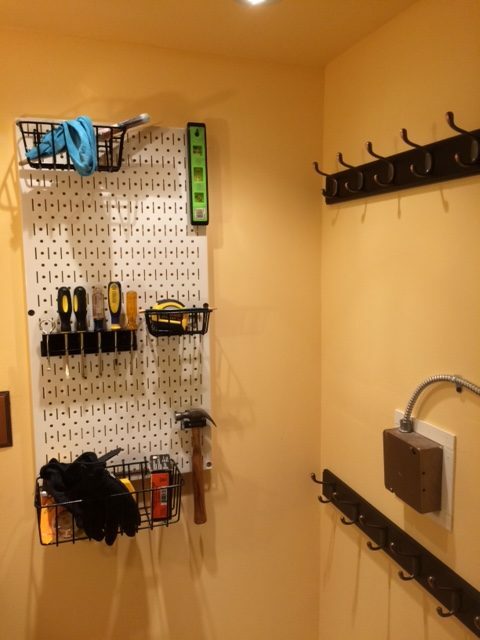 All the final trim painting and touch-up work is done, and the coat hooks and tool storage are installed. 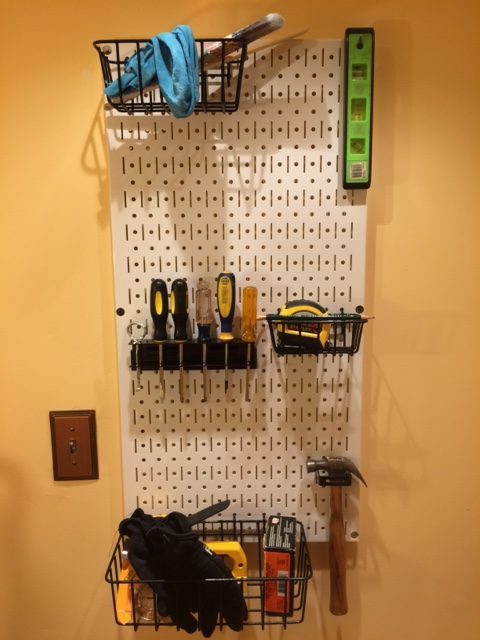 I installed a pegboard along the back wall for hanging tools. 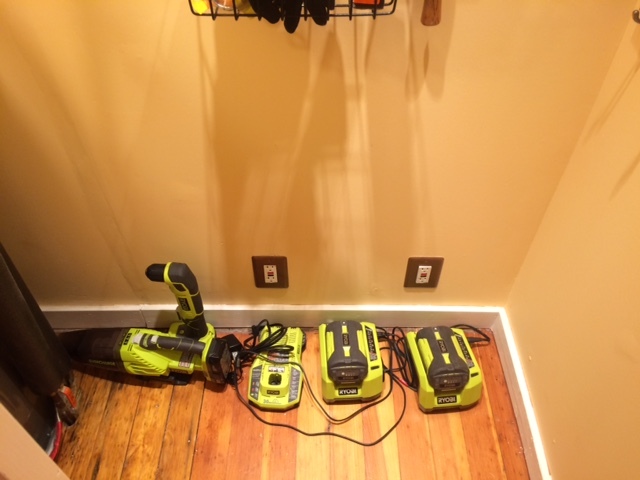 All our chargers for the tools are below the pegboard, right in front of my new outlets. 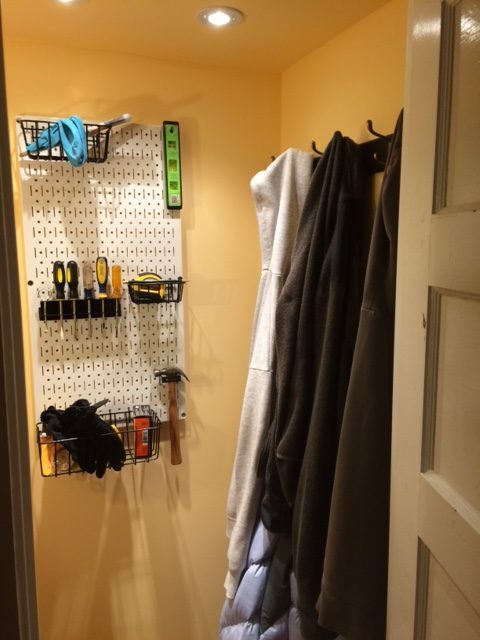 I installed two sets of coat hooks along the side wall for hanging coats, hats, scarves, etc. The armored cable is anchored securely to the wall to prevent any snags. Of course, I keep forgetting that the tools are now in the closet, and go wandering around the house looking for screwdrivers. But I LOVE hanging my coat in the coat or jacket in the coat closet! We are going to remove the old coat hooks in the current dining room, and install them in the laundry room for hanging up clothes to dry. I have ordered a small utility cart that fits in the coat closet in front of the water heater for some of the larger tools. That will clear all the tools and coats and hats and raincoats out of the dining room, so that we can start converting it into a library! The Great Coat Closet Remodel Project is officially closed! On to the next project!